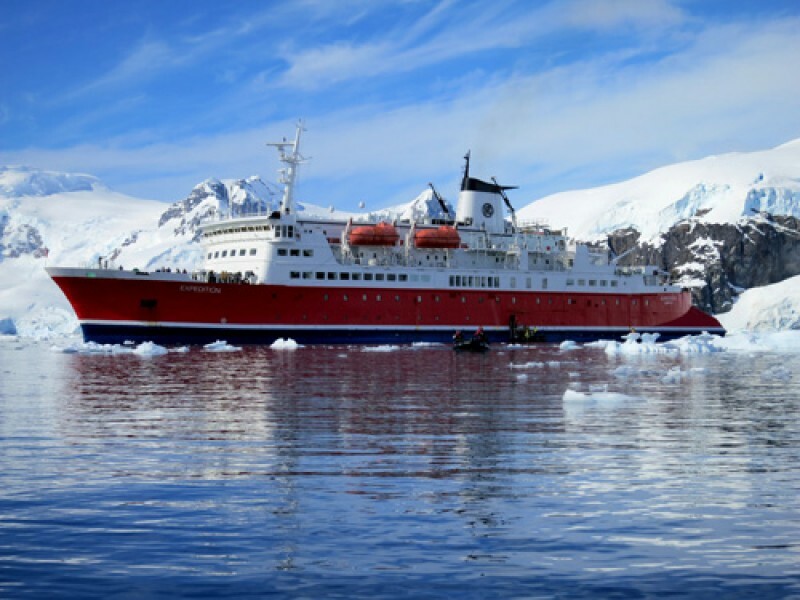 Take a journey of a lifetime on an Antarctic cruise. Incredible landscapes of ice and snow, unique wildlife of Antarctica; penguins, seals, whales, albatrosses and more. Visit working research stations and historical sites. 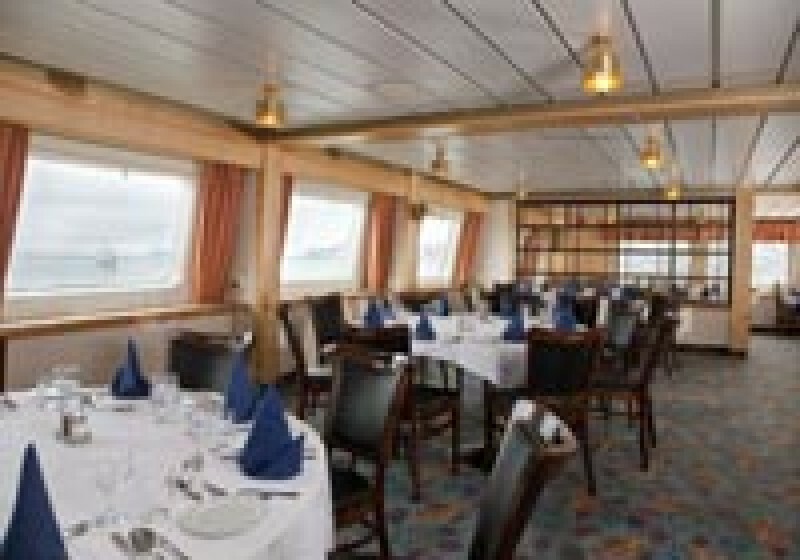 Join an expedition cruise to Arctic Spitsbergen, Greenland or Franz Josef for an unforgettable journey. See Polar bears, Walruses, Reindeer, Seals, Seabirds and stunning landscapes in the land of the midnight sun. experience. 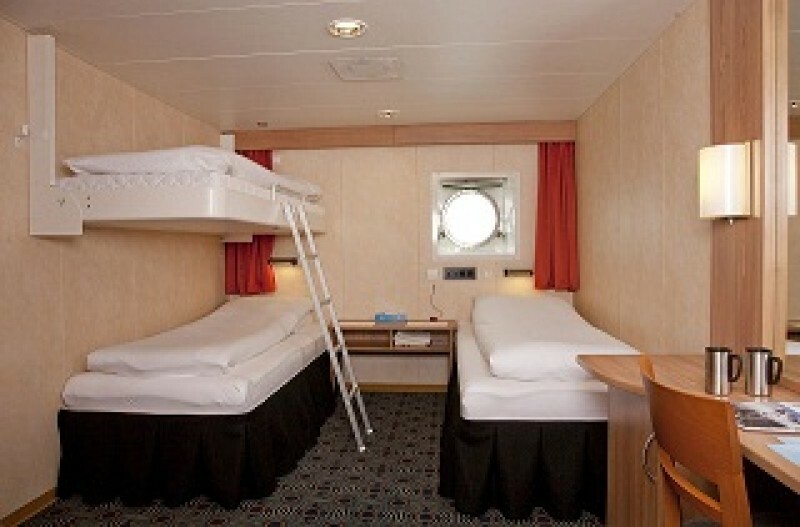 Completely refurbished in 2009, she boasts spacious cabins, each featuring ocean-facing windows or portholes and private en-suite facilities. Large common areas and observation decks provide panoramic views of the distinctive landscapes of some of the world's most remote regions. The Expedition's spacious confines can hold up to 130 passengers. At a nimble 105 metre in length, the MS Expedition is capable of reaching remote areas the bigger ships simply can't reach. 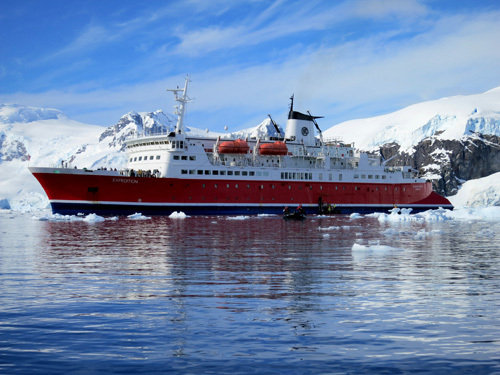 She can accommodate a maximum of 130 passengers and following a multi-million dollar refurbishment and refit offers travellers a unique and comfortable way of exploring the Polar Regions. The refit included the installation of brand new cabins with ensuite bathrooms, a refurbishment of the dining room -large enough to accommodate all passengers in one sitting - the pub, lounge, gym and sauna. Guests have the choice of five categories of cabins ranging from quad-share to suites. Each cabin will be outside facing featuring either portholes or windows and the ship will boast multiple viewing areas, including a 360-degree observation deck for wildlife spotting. M/S Expedition is fitted with state-of-the-art stabilizers to ensure as smooth a passage as possible. With a top speed of 16 knots, passengers spend less time travelling from A to B and more time exploring the destination. 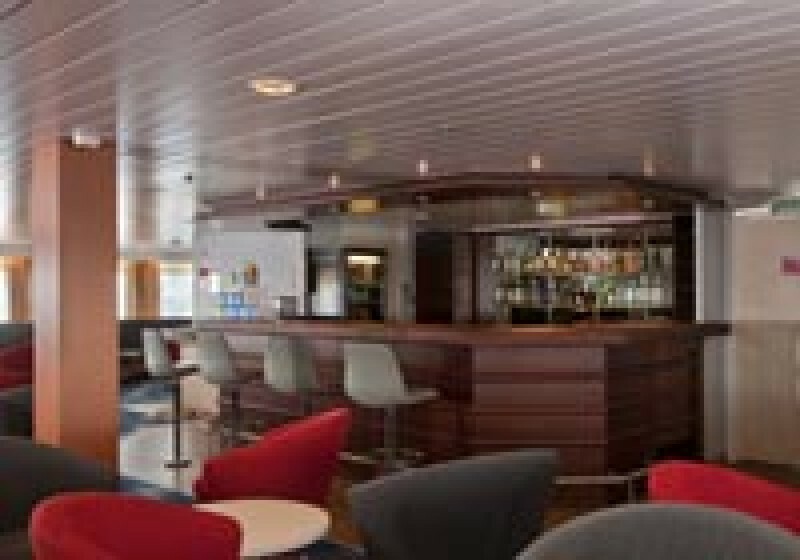 The ship is outfitted with all the latest safety equipment including covered lifeboats and a fast rescue boat from Norsafe. An elite team of 10 expedition staff, consisting of expedition leaders, naturalists, historians, geologists and marine and avian biologists, accompany every cruise in order to share their knowledge of the destination's history, unique environment and wildlife. Two lower berths and two upper berths. Private en-suite facilities with shower, toilet and washbasin. Approximately 15 m2 (160 sq ft). Porthole. 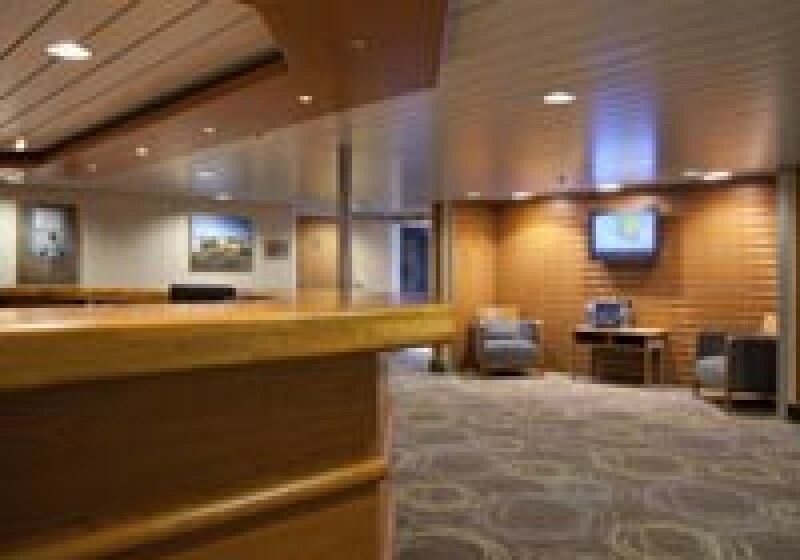 Located on Deck 2. 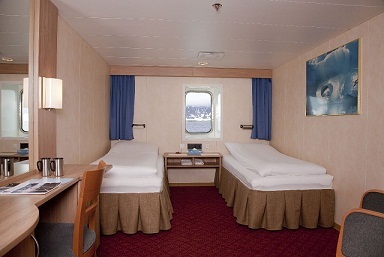 Two lower berths and one upper berth. Private en-suite facilities with shower, toilet and washbasin. Approximately 15 m2 (160 sq ft). Porthole. Located on Deck 2. 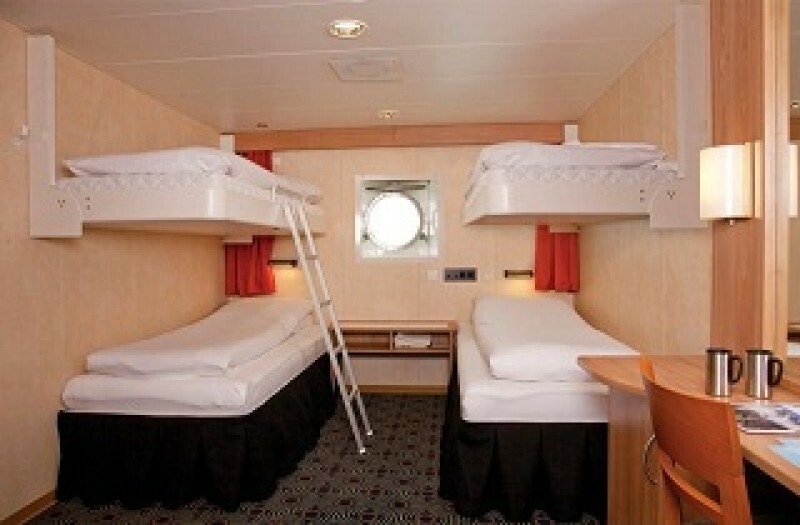 Two lower berths. Private en-suite facilities with shower, toilet and washbasin. Approximately 15 m2 (160 sq ft). Porthole. Located on Deck 2. 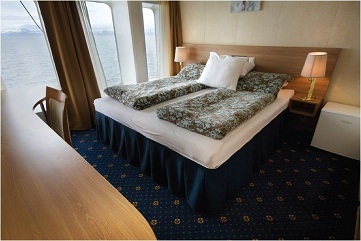 Two lower berths. Private en-suite facilities with shower, toilet and washbasin. Approximately 15 m2 (160 sq ft). Larger window. Located on Deck 3. 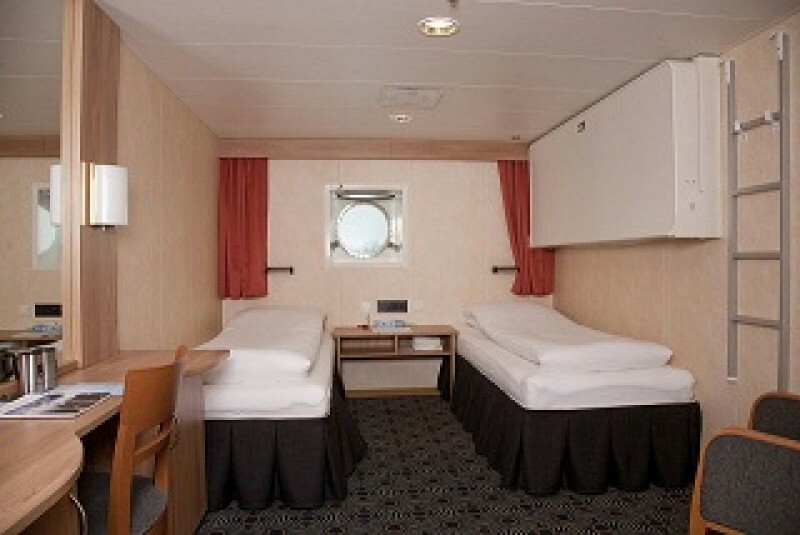 Two lower berths. Private en-suite facilities with shower, toilet and washbasin. Approximately 15 m2 (160 sq ft). Larger window. Located on Deck 4. 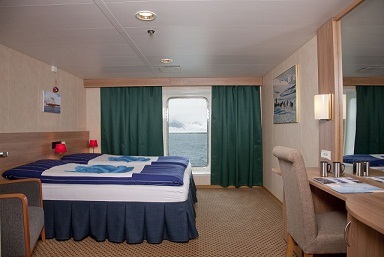 Our four suites feature larger windows, separate entrances, and living and sleeping areas. Each living area boasts a two-seater couch, armchair, coffee table and desk, while the bedroom contains a double bed and vanity area. Located on deck 4. Receive an exclusive Canada Goose Adventurer jacket when you book any of our Category 5 suites for the Antarctic sailing season. Amundsen Suite & Byrd Suite Private en-suite facilities with steam showers, toilet and washbasin. Approximately 30 m2 (320 sq ft). 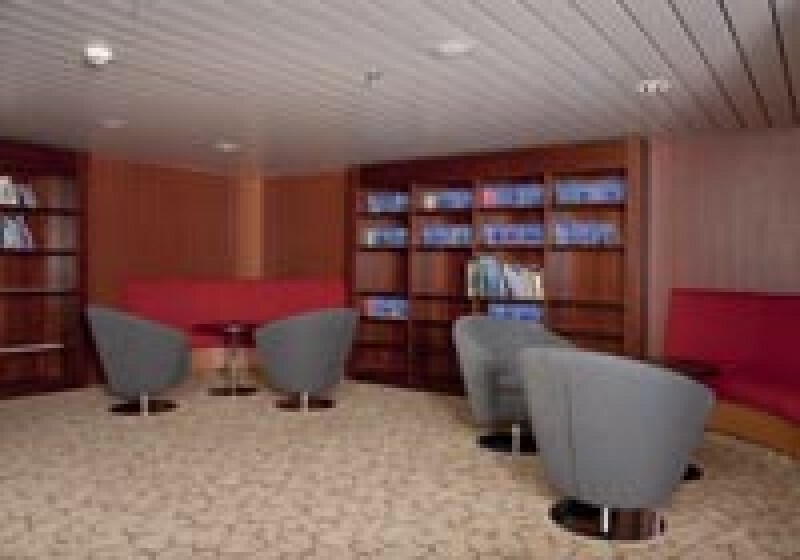 Living and sleeping areas offer two larger windows. Scott Vista Suite & Shackleton Vista Suite The two vista suites offer near floor-to-ceiling windows in both the living and sleeping areas and boast superior views. In addition, the private and spacious en-suite facilities offer a steam shower, toilet and washbasin. Approximately 30 m2 (320 sq ft).